Whether it's a new or used Lincoln, our skilled auto enthusiasts will help you find exactly what you're looking for. Looking for reliable service or parts center serving the Calumet City, IL, Chicago, Chicago Heights, Hammond IN or Gary IN areas? Come on down and get your fix at Napleton River Oaks Lincoln today! A big bonus to the new Lincoln lineup is options. Models like the new 2018-2019 Lincoln MKC, Lincoln MKS, Lincoln MKX, Lincoln MKZ and Lincoln Navigator each feature unique features that truly set them apart from the bunch. Yet they all find common ground with their well-crafted and high-quality design. Satisfy it with a test drive of a new Lincoln model that piques your interest, here at Napleton River Oaks Lincoln in Calumet City, IL. If you're looking for something that's tried and true, we have you covered there as well. At Napleton River Oaks Lincoln, we offer a high-quality lineup of used cars, and we've put them to the test. Inspecting them thoroughly, we've ensured that these pre-owned vehicles not only meet our high standards for quality, but yours as well. We know full well that buying a Lincoln MKC, Lincoln MKS, Lincoln MKX, Lincoln MKZ or Lincoln Navigator is one of the biggest and most important investments you can make. 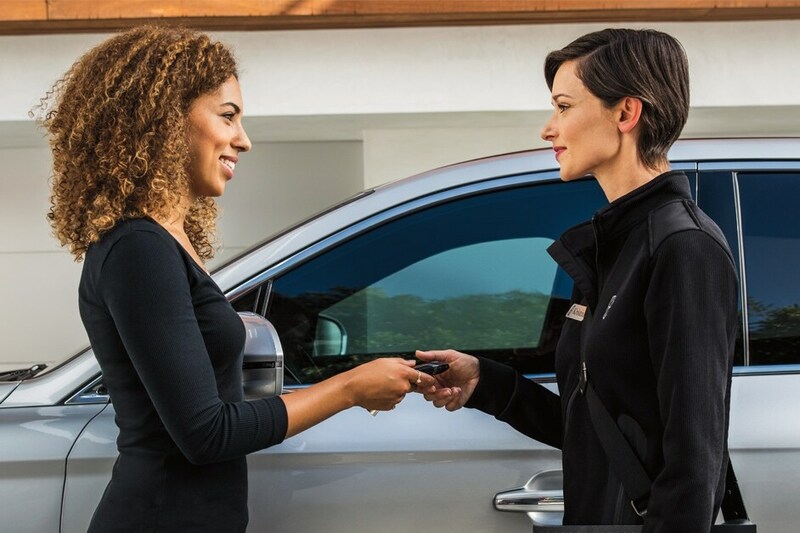 Here at Napleton River Oaks Lincoln, our financial experts will guide you every step of the way to get you behind the wheel in a way that you're completely comfortable with. Thanks to our wide selection of car loan and lease options to choose from, owning the car of dreams has never been easier. Fantastic customer service from Napleton River Oaks Lincoln doesn't end when the sale does; our dealership also staffs a fantastic, onsite auto service and repair center. Their goal: make sure every mile you spend behind the wheel is one that's free of worry. They do so by firmly knowing your specific Lincoln MKC, Lincoln MKS, Lincoln MKX, Lincoln MKZ or Lincoln Navigator inside and out, only using high-quality Lincoln parts and by making sure you're aware of every service being performed on your car as well as why it's being done. Curious to learn more? Feel free to stop in to Napleton River Oaks Lincoln of Calumet City, IL, where we are always eager to assist you. We can discuss vehicles here in our showroom, over the phone, or through our website. Getting to know all of you in the greater Chicago, Chicago Heights, IL, Hammond, IN, and Gary, IN, areas is always an enjoyable experience for us, so stop in during our scheduled business hours, where we can continue the conversation, and answer any questions you might have.